This model is part of a diorama. 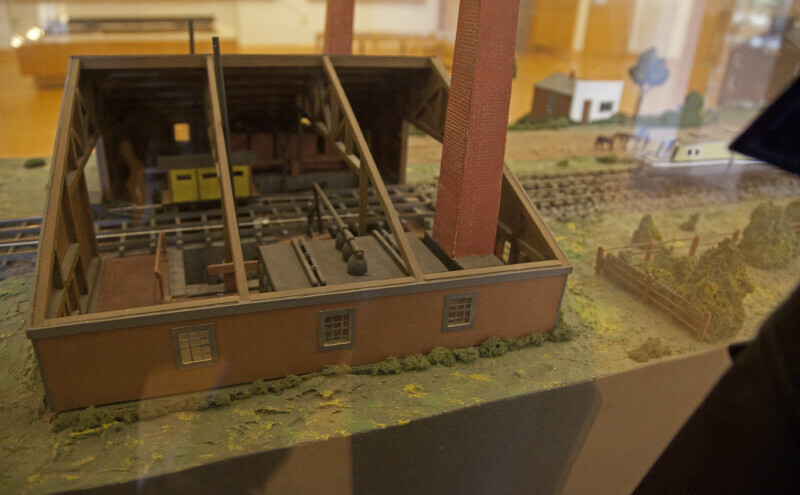 The building is a model of the sixth engine house, out of ten, on the Allegheny Portage Railroad. This engine house pulled cars to the top of a slope that was too steep for locomotive engines. This visitor center is listed on the National Register of Historic Places, as part of the Allegheny Portage Railroad National Historic Site.